The International Trans Fund (ITF) is a participatory grantmaking fund made up of trans activists and donors. 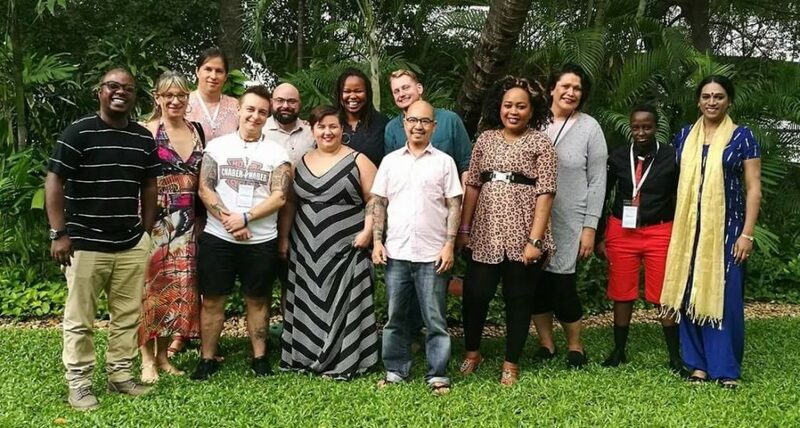 The mission of the ITF is to mobilize sustainable resources for strong, trans-led movements and collective action, and to address and eliminate funding gaps impacting trans groups across the globe. Build and sustain a mechanism to support trans-led groups of different sizes working on a range of issues at the international, regional, country, and local levels, with an emphasis on groups with access to fewer resources. a. Increasing financial resources dedicated to trans-led organizations and groups through grantmaking. b. Increasing access to non-financial resources for trans organizations, such as skills building, organizational strengthening, leadership development and activist support. c. Increasing access to other and new donors. Educate our peers in the philanthropic community on trans issues and influence other funders and strategic allies in trans-related commitments and strategies.